The newly appointed minister of energy, Mmamoloko Kubayi, presented her department’s budget for 2017/2018 to parliament recently. She outlined some of her department’s plans for the coming year. This article summarises her speech. The minister said that her department will spend R8,1-billion in the 2017/2018 financial year to support the energy sector, which currently provides 90 000 jobs and contributes R300-billion to the South Africa economy, to create more jobs and increase its contribution to the country’s gross domestic product (GDP). Although there has been some uncertainty around the Independent Power Producers (IPP) programme, Kubayi says renewable energy sources will remain an integral part of the country’s energy mix because it is important for energy security and provides opportunities for the country to achieve its developmental goals. Other plans include a review of the NERA Act, not to weaken NERSA, Kubayi says, but to strengthen its legal framework for improved efficiency. 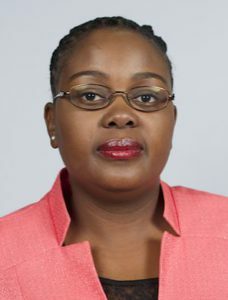 Regarding the proposed new-build nuclear energy deal, Kubayi said that the DoE will not appeal the recent high court judgement but will, with permission from parliament, sign new inter-governmental agreements with the five countries the department had previously been in discussion with. She said that NECSA has contributed to the upskilling of local people through its education, training and innovation programme by training 150 apprentices and 66 artisans; and by arranging 77 trade tests. The corporation also hosted five graduate-in-training students and 76 students in its internship programme. Kubayi said that the solar water heater programme will continue and that the department will ensure that mistakes made in the past will not be repeated. The minister said that 60 000 baseline systems, manufactured with 70% local content, have been procured and that her department will support various municipalities in the rollout of these units. The minister added that the DoE are also considering a combination solar home system, for heating water, and a liquefied petroleum gas (LPG) installation for applications such as cooking and space heating. To achieve this, Kubayi said, the current regulatory model for LPG will be revisited to ensure that LPG remains affordable to all. Kubayi said that gas to power technology will be an integral component in the country’s energy mix in future and proposed a three-stage programme which would start in three to five years’ time with the importation of LPG, the development, some years later, of a pipeline infrastructure which would bring gas from Mozambique, and ultimately natural gas from fracking sites in the Karoo. The minister said she will promulgate an embedded generation licensing framework this year which will address the proliferation of rooftop solar photovoltaic (PV) systems in the country – as well as other distributed generation systems – with a proposed cap of 10 MW per site. The post Energy minister briefs parliament on nuclear, IPP and gas plans appeared first on EE Publishers.